Sydney: The world's southernmost coral reef has been hit by bleaching this summer, Australian scientists said Wednesday, as they warned rising sea temperatures from climate change were affecting even the most isolated ecosystems. The corals off Lord Howe Island - some 600 kilometres offshore from Sydney - were affected by elevated temperatures this summer, despite escaping severe bleaching that damaged the Great Barrier Reef in 2016 and 2017. "It's just another indicator that climate change is affecting everywhere around the world. Here is a reef that is 600 kilometres from the mainland and we are seeing bleaching there in a lovely, beautiful ecosystem." Leggat and other scientists from several Australian universities and the US National Oceanic and Atmospheric Administration found severe bleaching of up to 90 per cent at Lord Howe's inshore, shallow lagoon reefs. Deeper-water corals in the marine park, which contains species not found anywhere else and like the Barrier Reef is a World Heritage site, were still "looking quite healthy" having mostly escaped the bleaching, Leggat said. Leggat said increasing baseline temperatures caused by climate change, and local factors such as elevated temperatures in the area this summer, caused the bleaching to occur. The scientists are set to return to Lord Howe in the next few months to find out if some corals have been so severely bleached they can't recover. Bleaching occurs when abnormal environmental conditions, such as warmer sea temperatures, cause corals to expel tiny photosynthetic algae, draining them of their colour. 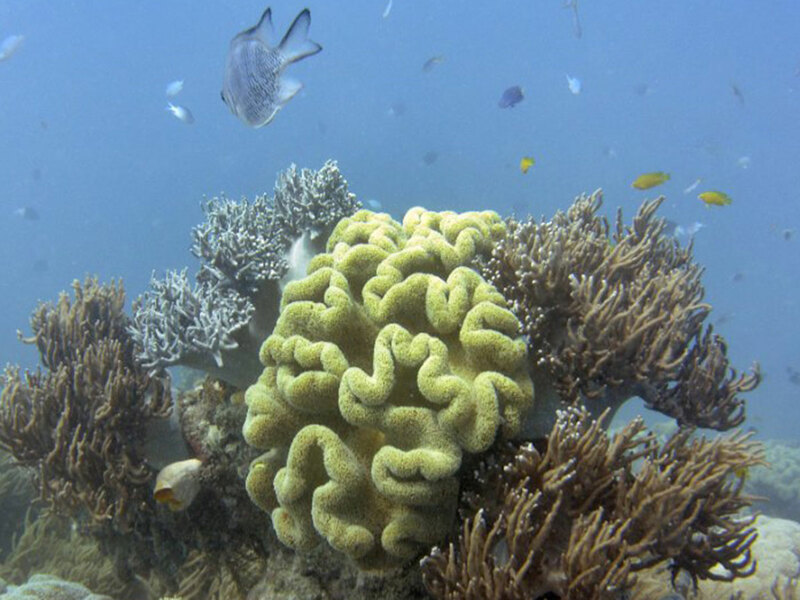 Corals can recover if the water temperature drops and the algae are able to recolonise them. However, swathes of coral at the Barrier Reef - the world's largest living structure - died or were damaged in the unprecedented successive events in 2016 and 2017.